This paper provides recommendations on experimental design for early-tier laboratory studies used in risk assessments to evaluate potential adverse impacts of arthropod-resistant genetically engineered (GE) plants on non-target arthropods (NTAs). While we rely heavily on the currently used proteins from Bacillus thuringiensis (Bt) in this discussion, the concepts apply to other arthropod-active proteins. A risk may exist if the newly acquired trait of the GE plant has adverse effects on NTAs when they are exposed to the arthropod-active protein. Typically, the risk assessment follows a tiered approach that starts with laboratory studies under worst-case exposure conditions; such studies have a high ability to detect adverse effects on non-target species. Clear guidance on how such data are produced in laboratory studies assists the product developers and risk assessors. The studies should be reproducible and test clearly defined risk hypotheses. These properties contribute to the robustness of, and confidence in, environmental risk assessments for GE plants. Data from NTA studies, collected during the analysis phase of an environmental risk assessment, are critical to the outcome of the assessment and ultimately the decision taken by regulatory authorities on the release of a GE plant. Confidence in the results of early-tier laboratory studies is a precondition for the acceptance of data across regulatory jurisdictions and should encourage agencies to share useful information and thus avoid redundant testing. Genetically engineered (GE) plants and food and feed products derived from them are strictly regulated by governments internationally. Through the implementation of regulatory systems, designated authorities mandate a pre-market environmental risk assessment and a food/feed safety assessment of GE events case-by-case. These evaluations are a prerequisite to the regulatory decision to approve or not approve GE events for cultivation and for human food and/or livestock feed consumption. Environmental risk assessment of GE plants is designed to answer very specific questions about the potential risks of introducing such plants into the environment, and includes three main phases: problem formulation, analysis (data collection), and risk characterization (USEPA 1998; Raybould 2006; Carstens et al. 2010; Wolt et al. 2010). Identification of protection goals (e.g., the protection of valued arthropods) is a crucial early step in problem formulation. Protection goals reflect the social, cultural, economic, environmental, and related development objectives of a country, and therefore are typically specific to each regulatory system (Raybould and Quemada 2010). However, among different regulatory authorities there are some common areas of concern. One of these concerns, and the subject of this paper, is potential adverse impacts that a GE plant may have on non-target arthropods (NTAs),1 and in particular adverse effects that may arise through exposure to toxins produced in arthropod-resistant GE crops. The magnitude of risk to NTAs depends on the likelihood and seriousness of harmful effects that may result from cultivation of the crop. Generation of relevant effects and exposure data for such toxins is fundamental for any assessment of impacts on NTAs. The degree to which data are relevant and applicable to a particular exposure assessment. The degree to which measured, calculated, or modeled values correspond to the true values of what they are intended to represent. The degree to which the data collected and reported are what they purport to be. The clarity and completeness with which all key data, methods, and processes, as well as the underlying assumptions and limitations, are documented and available. The importance and applicability of these “hallmarks of data quality” (WHO 2008) to the environmental risk assessment of GE plants has been recognized implicitly or explicitly by regulatory authorities who have attempted to define mutually acceptable quality standards for chemical exposure in regulatory submissions. These same standards should also apply to GE plants. For example, the Risk Analysis Framework published by the Australian Office of the Gene Technology Regulator (OGTR 2009) addresses the quality of evidence (Table 1). The provision of such guidance about data quality assists both the product developer and strengthens the robustness of the risk assessment. Other technical reports, specialist literature (for example, beekeeping), government reports, etc. 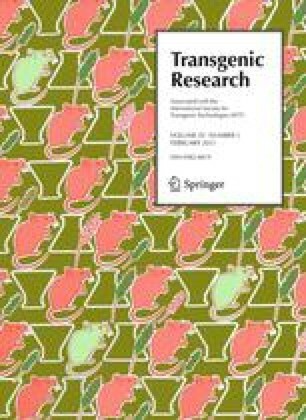 This paper summarizes the outcomes of expert panels convened by the West Palaearctic Regional Section of the International Organisation for Biological Control (IOBC/WPRS) in 2007 and the International Life Sciences Institute (ILSI) Research Foundation in 2009, with additional contributions from subject matter experts. It provides guidance and recommendations on experimental design for early-tier laboratory studies (termed Tier I and/or Tier II studies depending on the jurisdiction) used to evaluate potential adverse effects of arthropod-resistant GE plants on NTAs. The specific recommendations provided herein may be viewed as the basic quality standard for early-tier NTA studies used to support regulatory submissions. The risk hypotheses are then addressed in the analysis phase of the risk assessment following a tiered framework that is conceptually similar to that used to assess the environmental impact of conventional chemical plant protection products (Hill and Sendashonga 2003; Garcia-Alonso et al. 2006; Rose 2007; Romeis et al. 2008). Based on the risk hypotheses, early-tier laboratory experiments are conducted under worst-case exposure conditions where species representative of NTAs present in the receiving environment that are likely to be exposed to the arthropod-active protein [referred to as surrogate species by Caro and O’Doherty (1999)] are exposed to concentrations of the protein in excess of exposure in the field. This increases the likelihood of detecting adverse effects on NTAs (Fig. 1). Protocols developed to assess the impact of chemical plant protection products on NTAs have provided a useful basis for designing similar protocols to assess the potential effects of GE plants on NTAs (Romeis et al. 2008). They indicate which species may be suitable surrogates for laboratory studies, describe general procedures including test system description, organism preparation, test diets, experimental design as well as suitable measurement endpoints and quality criteria such as acceptable control mortalities to adequately address the assessment endpoint. Available protocols range between statements of general principles (e.g., USEPA 1996a, b) and species specific guidance documents (e.g., Candolfi et al. 2000; Grimm et al. 2002). Many of these protocols have been modified to consider the oral exposure pathway of plant-expressed arthropod-active proteins, and several protocols of this type have been described in the literature (e.g., Stacey et al. 2006; Duan et al. 2002, 2006, 2007). In some regulatory jurisdictions, early-tier NTA studies may have to be conducted under the defined standards of Good Laboratory Practice4 (GLP) which includes study reconstructability (OECD 1998). The particular requirements of GLP studies are outside the scope of this paper and it is advisable for scientists conducting NTA studies as part of regulatory submissions to ensure that GLP is followed if and as required by regulatory authorities. If no adverse effects are seen under the worst-case exposure conditions in early-tier laboratory studies, the risk can be characterized as being acceptable and there may be no need to conduct any further testing because of the minimal probability of adverse effects in the field where NTAs are exposed to much lower concentrations of the arthropod-active protein. Early-tier testing thus allows elimination from further consideration risks that are negligible, and allows assessors to focus resources to address more significant risks or uncertainties. If effects are seen under laboratory conditions at high test substance exposure concentrations, the risk can be further characterized in additional laboratory or higher-tier experiments that use more realistic environmental exposure scenarios (Fig. 1). Higher-tier studies can include semi-field tests under enclosed (contained) conditions and open-field tests, and are sometimes conducted when evaluations across multiple trophic levels are warranted or estimation of population parameters is sought. The studies may involve the use of population and community responses and may consider geographic and temporal variability in exposure to the stressor of concern. Higher-tier tests are demanding in terms of skills and resources necessary for their design, execution, and analysis. Furthermore, results that are difficult to interpret often do not contribute additional confidence in the conclusions of the risk assessment. A recent meta-analysis of published studies on non-target effects of Bt crops has confirmed that laboratory studies “…predicted effects that were on average either more conservative than or consistent with effects measured in the field” (Duan et al. 2010). when the nature and mode of action (MOA) of the arthropod-active protein being evaluated suggest that the higher-tiered test is most appropriate to detect effects. Surrogate species that are tested should be representatives of those that are most likely to be exposed to the arthropod-active protein in the field. There may be considerable knowledge available on the fate of the protein (e.g., Bt Cry protein) under field conditions and its movement through arthropod food-webs (Romeis et al. 2009). Consequently, experiments may not need to be conducted to inform the risk assessment for species and life-stages that are at negligible risk because of limited exposure. In the case of Bt-transgenic crops, an example would be predators and parasitoids that specifically attack aphids which are known to contain no or only trace amounts of Bt Cry protein (Romeis and Meissle 2010). Another example is the negligible exposure of pollinators or pollen feeders where there is a lack of protein-expression in the pollen, for example when the transgene is controlled by a promoter that does not yield expression in pollen. 2. Known spectrum of activity and mode of action of the arthropod-active protein. Surrogates and life-stages need to be selected that are most likely to be susceptible to the arthropod-active protein and thus are most likely to detect an adverse effect (i.e., have the highest predictive power). For example, in the case of current commercialized Bt Cry toxins, immature holometabolous insects are the only arthropods showing meaningful susceptibility and neonates are more sensitive than later instars (e.g., Glare and O’Callaghan 2000). When the arthropod-active protein is known to affect immature development or fecundity in sensitive arthropods (e.g., target pests), testing of multiple life-stages or adults, respectively, would be appropriate. Species and life-stages should be selected that are amenable to testing under laboratory conditions (Rose 2007; Romeis et al. 2008). This includes the availability of experimental protocols that ensure the interpretability of the data and the possibility to reproduce or reconstruct the study. Experience with the testability of a species or a specific life-stage comes, for example, from NTA testing of pesticides and from previous studies with orally active proteins. Different life-stages of a particular arthropod species (e.g., Meissle and Romeis 2009b) or of taxonomically-related species (e.g., Heimbach et al. 2000a) might differ substantially in their amenability to testing in the laboratory due to their specific biology, lifespan, required diet, etc. 4. Availability of the test arthropod. For pesticide testing, the IOBC/WPRS, European Plant Protection Organisation (EPPO) and Beneficial Arthropod Regulatory Testing Group (BART) have recommended using laboratory-reared arthropods (Barrett et al. 1994; Candolfi et al. 2000, 2001). Standardized test arthropods from public sector or commercially reared laboratory colonies provide a level of consistency between experiments (due to an overall similar genetic susceptibility) and testing laboratories that promotes data reproducibility and comparability. Although some phenotypic differences from wild populations may occur during laboratory breeding, such limitations are deemed preferable to the unknown and variable condition of field-collected specimens (e.g., previous exposure to the test substance, variable age and health status). Although not recommended, when there is not a viable alternative and field-collected NTAs must be used, specimens should be standardized as much as possible and information on the site and method of collection as well as details on the handling and maintenance between the time of collection and use in the experiments should be provided (e.g., Heimbach et al. 2000a, b). The test substance should be characterized and formulated in a way that allows precise calculation of the amount that is delivered to the test organism. 1. Biological activity of the test substance. Test substances should be in a formulation that ensures biological activity. Bioactivity should be confirmed using relevant assays like sensitive insect bioassays (e.g., Duan et al. 2006, 2008a; Stacey et al. 2006; Meissle and Romeis 2009a), biochemical assays in case of enzyme inhibitors (e.g., Shade et al. 1994), or agglutination assays in case of lectins (e.g., Van Damme et al. 1987). 2. Purity of the test substance. The purity of the test substance needs to be known to calculate the true dose and amount that is delivered to the test organism. The active ingredient(s) and relevant impurities must be identified and quantified within technically feasible limits and the method(s) applied to determine purity must be stated. 3. Test substance equivalence (e.g., for purified protein). The arthropod-active protein provided to test organisms may be derived from GE plants or, more commonly, produced as recombinant protein in microbial expression systems. The concentration of the introduced protein in transgenic plant tissues can be very low, often less than 0.01% on a dry weight basis. Early-tier studies (and other toxicology studies such as those used to assess GE food safety) that require relatively large amounts of test substance are often not feasible using plant-expressed protein as sufficient mass cannot be reasonably purified from the plant source (CAC 2003). Instead, these studies normally make use of protein purified from bacterial or yeast expression systems. In such cases, it is necessary to demonstrate functional and biochemical equivalence (i.e., equivalent physiochemical properties and biological activities) of the plant and microbial purified proteins (Gao et al. 2004, 2006; Raybould and Vlachos 2010). For example, comparisons of the molecular weight, the isoelectric point, amino-acid sequence, post-translational modifications including glycosylation patterns, immunological reactivity, biological activity, and in the case of enzymes, the enzymatic activity, may be needed to provide evidence for the equivalence (EFSA 2008; USEPA 2000, 2001). For Cry and vegetative insecticidal proteins (VIP) from Bacillus thuringiensis, fully characterized purified proteins have been successfully produced for use in NTA studies (Gao et al. 2004, 2006; OECD 2007; Raybould and Vlachos 2010), but this may not always be possible for future arthropod-active proteins. The test substance (or a diet medium into which it has been incorporated) should be stored under conditions that maintain its intactness and activity. Note that freeze–thaw cycles may be detrimental to some substances, especially proteins. If this is the case, very short harvest-to-analysis intervals must be used or other storage conditions must be devised. The batch of the test substance tested should preferably be the same throughout the duration of the experiment. If it is not possible to use the same batch throughout the experiment, a new batch of test substance can be used as long as it is fully characterized. If the stability of the test substance cannot be guaranteed for the duration of the study, freshly treated diet should be supplied periodically (e.g., daily). Appropriate assays should be performed to ensure the storage stability of the test substance during the experiment. For example, a sub-sample of the test substance should be stored under the same conditions (e.g., sub-freezing temperatures) as the samples that are used in the experiment, and analyzed at the end of the storage period. If the test or control substance is incorporated into a diet, testing must confirm that the method of mixing results in the expected concentration of the protein and that the test substance is homogenously distributed in the diet. This determination should occur prior to the start of the study or concurrent with it. Homogenous distribution of the test substance is important to rule out that individual test organisms are able to avoid the test substance altogether or are exposed to lower than anticipated levels while others might be over-exposed. Homogeneity of the diet is typically tested by analyzing sub-samples of the diet (e.g., Duan et al. 2006, 2008a). Homogeneity criteria, as with stability criteria, should be defined prior to study initiation and should account for assay limitations. Similarly, it needs to be known to what extent the test substance activity degrades at different times during the experiment in order to calculate the actual dose delivered. One could refer to published studies when available. For example, when Bt maize pollen is used as a carrier to expose NTAs to a Cry protein, ELISA analyses may be sufficient to establish the concentration if stability has been previously established under relevant environmental conditions (Wraight et al. 2000; Hellmich et al. 2001; Stanley-Horn et al. 2001; Meissle and Romeis 2009a). In most cases the purified protein or GE plant material is provided to the test organism in artificial diet. When purified arthropod-active protein is used as the test substance it needs to be dissolved in water or buffer and the characteristics of the solvent must be provided. The science and technology of arthropod diets can be complicated (Cohen 2004). Since the diet can directly and/or indirectly impact study quality and study results, the diet is a key element to consider in study design. Since most arthropod diets are meridic (only partly defined chemically), care must be taken that the diet constituents themselves do not adversely interact with test substances. Diets may be species-specific, as determined by the nutritional requirements and the feeding habits of the test NTA. The test substance should be incorporated into the diet in a homogenous manner, or used as a diet overlay, permitting the arthropods to ingest the protein during feeding. In any case, a detailed description of such procedures should be provided. Care must be taken to ensure the test substance is not affected when it is incorporated into the diet (e.g., by heat deactivation). Artificial diets have successfully been used to test the effects of purified arthropod-active proteins on a range of arthropods, including: larvae of Aleochara bilineata (Coleoptera: Staphylinidae) (Stacey et al. 2006), larvae of Poecilus chalcites (Coleoptera: Carabidae) (Duan et al. 2006), nymphs of Orius insidiosus (Heteroptera: Anthocoridae) (Stacey et al. 2006), adult Chrysoperla carnea (Neuroptera: Chrysopidae) (Li et al. 2008), and adult and larvae of Apis mellifera (Hymenoptera: Apidae) (Malone et al. 1999; Brødsgaard et al. 2003). Particularly noteworthy are current efforts to standardize artificial-diet based in vitro feeding methods to test A. mellifera larvae (Aupinel et al. 2007, 2009; CDPR 2009). 2. Treatment of non-GE food items. In cases when no artificial diet is available, alternative ways to dose the test organisms with the purified protein can be applied. For example, the test substance may be dissolved in appropriate surfactants and applied to non-GE plant material. This has been done with leaves to expose foliar-feeding arthropods (Chen et al. 2008). Similarly, non-GE pollen has been treated with solution in which the test protein was dissolved to dose predators such as Coleomegilla maculata (Coleoptera: Coccinellidae) (Duan et al. 2002) or O. insidiosus (Duan et al. 2007, 2008a), and bees such as A. mellifera (see references in Duan et al. 2008b) and Osmia bicornis (Hymenoptera: Megachilidae) (Konrad et al. 2008). Alternatively, the predatory beetles Coccinella septempunctata (Coleoptera: Coccinellidae) and Poecilus cupreus (Coleoptera: Carabidae) have been exposed to test substances by dipping their prey into toxin-containing solution or by injecting their prey with the solution, respectively (Stacey et al. 2006). Another option exists in dosing the test organisms with test substances dissolved in a sugar-rich solution (honey or sucrose). This method is commonly used to dose adults of parasitic Hymenoptera that are known to feed on carbohydrate sources in the field (Romeis et al. 2003a; Bell et al. 2004; Hogervorst et al. 2009) but also for larvae of predatory arthropods including C. carnea, C. septempunctata and Adalia bipunctata (Coleoptera: Coccinellidae) (Hogervorst et al. 2006; Lawo and Romeis 2008; Álvarez-Alfageme et al. 2010). GE plant material containing the arthropod-active protein can be used as the test substance when it is regarded as the stressor of concern or in situations where the test organism cannot be fed on an artificial diet or where no purified protein is available. The study conductor must be aware of the fact that there is also the possibility of carrier effects; in other words, there may be differences between the treatment and control unrelated to the arthropod-active protein and related to the effect of different carriers, for example due to different genetics or environments under which the GE plants were grown (see Escher et al. 2000; Wandeler et al. 2002; Jensen et al. 2010; Knecht and Nentwig 2010 for examples). For example, larvae of the monarch butterfly, Danaus plexippus (Lepidoptera: Danaidae), could not be reared reliably to adult on an artificial diet, so milkweed leaf discs (Asclepias curassavica) dusted with varying amounts of Bt maize pollen grains were used to estimate pollen/Cry protein effects (Hellmich et al. 2001; Dively et al. 2004). Similar studies have been conducted with larvae of other Lepidoptera species (Wraight et al. 2000; Jesse and Obrycki 2002; Shirai and Takahashi 2005; Li et al. 2005). Bt maize pollen may also be used as a carrier to expose predatory arthropods that readily consume this plant tissue under field and laboratory conditions. Species that have successfully been exposed this way include: larvae and adults of A. mellifera (see references in Duan et al. 2008b), C. maculata (Coleoptera: Coccinellidae) (Duan et al. 2002; Lundgren and Wiedenmann 2002), Propylea japonica (Coleoptera: Coccinellidae) (Bai et al. 2005), adult C. carnea (Li et al. 2008), immature and adult Neoseiulus cucumeris (Acari: Phytoseiidae) (Obrist et al. 2006c), and juvenile spiders (Araneae) (Ludy and Lang 2006; Meissle and Romeis 2009b). Furthermore, GE plant litter is commonly used to study impacts on soil arthropods that play a role as decomposers such as Collembolans (Yu et al. 1997; Romeis et al. 2003b; Heckmann et al. 2006) and mites (Yu et al. 1997). The use of GE plant material may prevent testing of the arthropod-active protein under worst-case exposure conditions in excess of that found in plant material since the test arthropods can only consume the concentration of the active protein contained in the plant tissue. However, since the diet of NTAs is unlikely to consist of 100% GE crop tissue in the field, studies using plant tissue can still provide very conservative exposures (see also below section on “Concentration/dose selection”). Herbivores that have fed on GE plant material and are subsequently shown to contain bioactive toxin may be used as carriers to deliver the arthropod-active protein to entomophagous arthropods (tri-trophic exposure). Great care should be taken to ensure that the herbivores themselves are not adversely affected by the ingested protein so as to avoid the impact of prey/host-quality mediated effects (Romeis et al. 2006; Naranjo 2009). One such carrier that has successfully been used is Bt maize-fed spider mites (e.g., Dutton et al. 2002; Li and Romeis 2010; Álvarez-Alfageme et al. 2008, 2010). These herbivores have been shown to contain high concentrations of Bt protein which are similar to concentrations measured in the leaves on which they have fed (Obrist et al. 2006a, c; Torres and Ruberson 2008; Meissle and Romeis 2009b; Li and Romeis 2010; Álvarez-Alfageme et al. 2008, 2010). Furthermore, sensitive insect bioassays have shown that Cry proteins contained in spider mites after feeding on Bt maize retain their biological activity (Obrist et al. 2006b; Meissle and Romeis 2009a). The bioactivity of Bt Cry proteins following ingestion of Bt maize has also been confirmed for larvae of Ostrinia nubilalis (Lepidoptera: Crambidae) (Head et al. 2001; Obrist et al. 2006b) and adult Diabrotica virgifera virgifera (Coleoptera: Chrysomelidae) (Meissle and Romeis 2009a). Another potential carrier of the test substance is a strain of the target organism that is resistant to the particular arthropod-active protein. For example, strains of Plutella xylostella (Lepidoptera: Plutellidae) and Helicoverpa armigera (Lepidoptera: Noctuidae) that are resistant to specific Bt Cry proteins have been used to assess toxin effects on predators and parasitoids (Schuler et al. 2003, 2004; Ferry et al. 2006; Chen et al. 2008; Lawo et al. 2010). Recently, Lawo et al. (2010) measured the Cry1Ac concentration in neonate H. armigera after 24 h feeding on Bt (Cry1Ac) cotton. Larvae from a Cry1Ac-resistant strain contained four times more toxin per gram fresh weight when compared with larvae from a susceptible strain. Resistant larvae in tri-trophic studies can thus be used to expose their natural enemies to higher concentrations of the toxin when compared with the natural situation in the field. However, care must be taken to ensure that the ingested protein in the resistant insects is still active (Chen et al. 2008). As part of the environmental risk assessment, an exposure characterization is performed to determine how much of the arthropod-active protein a particular organism might be exposed to in the field under natural conditions (the expected environmental concentration, EEC). In general, secondary exposure of arthropod predators and parasitoids through herbivorous prey or hosts is generally lower than direct exposure of plant-consuming arthropods. Since in the majority of cases precise estimates of the concentrations of the arthropod-active protein in the natural diet of the NTA are not possible, conservative assumptions must be made. For this purpose, the highest average concentration of protein measured in the plant tissue over the course of growth development is typically taken as the worst-case EEC (e.g., Rose 2007; Raybould et al. 2007; Raybould and Vlachos 2010). Defining the highest average plant-expression level as the EEC adds to the conservatism of the assessment since (a) the NTAs may not exclusively consume GE plant tissue, and (b) plant-produced arthropod-active proteins are usually diluted in the natural food web. This dilution effect has been reported for Bt crops (e.g., Harwood et al. 2005; Obrist et al. 2006a; Meissle and Romeis 2009b) but has also become evident from tri-trophic laboratory studies with other arthropod-active proteins (Bell et al. 2003; Christeller et al. 2005). Nevertheless, some cases exist where the EEC has been defined more precisely taking into account knowledge on the NTA’s feeding behaviour. For example, consumption of maize pollen has been quantified in some detail for larvae of A. mellifera (Babendreier et al. 2004), adult C. carnea (Li et al. 2010) and adult C. maculata (Lundgren and Wiedenmann 2004; Lundgren et al. 2005). The EEC can thus be based on pollen expression levels (if the arthropod-active protein is present in pollen) since consumption of this plant tissue is the main (if not only) source of exposure to the plant expressed protein. In practice, NTA studies are often conducted at times when plant expression levels for the event that is going to be commercialized are not fully characterized. Therefore, studies are often conducted at the highest possible concentration of the test substance that can be delivered with the test system. One has to be aware, that these high doses may eventually cause an effect which would then trigger additional studies including, for example, dose–response tests to assess accurately the effect relative to the EEC, which, as mentioned previously, depends on plant-expression levels. Early-tier tests are often conducted as single dose tests, for instance, at the so-called maximum hazard dose (MHD). The MHD is calculated by multiplying the EEC with a margin of exposure factor (e.g., US EPA suggests a MHD margin of exposure factor of 10×). In cases where a high excess dose is not achievable (e.g., because GE plant material is used as the test substance), the actual maximum dose to which the test organism is exposed should be reported and the reason for the testing dose selection stated. The MHD margin of exposure factor adds certainty to the conclusions drawn from the test and accounts for possible intra- and interspecies variability from the use of a surrogate species. Studies that establish a lack of adverse effects at the MHD level are sufficient to confirm the absence of unacceptable adverse effects, making lower dose testing unnecessary. For studies establishing an LC50, LD50, EC50, or ED50 value the number of doses and test organisms evaluated must be sufficient to determine accurate values, and when necessary or required, the Lowest Observed Adverse Effect Concentration (LOAEC), or No Observed Adverse Effect Concentration (NOAEC). If the LC50, LD50, EC50, or ED50 values are greater than the MHD (e.g., LD50 > 10× EEC), then those data are sufficient to inform the risk assessment, and lower dose testing is unnecessary. If the values are less than the MHD used, additional testing with lower doses may be required. An estimation of risk is often made by comparing the LOAEC or NOEC to the EEC; when the EEC is lower than the LOAEC or NOEC, a conclusion of ‘reasonable certainty of no adverse effects’ can be made (e.g., Raybould et al. 2007; Raybould and Vlachos 2010). For studies using GE plant tissues as the test substance, a factor of 1× or less is used and a margin of exposure of greater than one may not be possible due to the limited expression of the arthropod-active protein in the plant. A 1× plant concentration of the protein may thus be most relevant when the actual exposure to the species of interest in the field is known to be much lower that the concentration of the novel protein in the plant tissue, for example, if a test organism is forced to ingest green plant tissue, but in the environment the organism feeds on decomposing senesced tissue. For some arthropod species, exposure to the test substance can be enhanced when test organisms are exclusively fed with plant or arthropod material containing the protein of interest that would otherwise constitute only part of their diet in the field or by using lyophilized plant powder as test substance. Examples include ladybird beetles that use maize pollen as complementary food in the field or generalist predators that occasionally consume spider mites as part of their prey spectrum. Feeding these species with either a high proportion, or even exclusively with GE maize pollen or GE plant-fed spider mites, would constitute worst-case exposure. Examples are tests in which larvae or adults of C. maculata are fed large amounts of GE maize pollen mixed with insect eggs (Duan et al. 2002; Lundgren and Wiedenmann 2002), studies in which A. mellifera receive only GE maize pollen (Rose et al. 2007), or the feeding of predominately aphidophagous A. bipunctata or C. carnea larvae exclusively with spider mites that have fed exclusively on transgenic plant material (Dutton et al. 2002; Álvarez-Alfageme et al. 2010). Prior to testing, the objectives of the individual study need to be defined, and specific measurement endpoints (also known as measures of effect) described that test the identified risk hypotheses. Appropriate measurement endpoints should be easy to evaluate in the laboratory and likely to indicate the possibility of adverse effects on the abundance of NTAs or other assessment endpoints. Thus, priority should be given to measurement endpoints for which it is clear what change constitutes an adverse effect. Typical measurement endpoints to address NTA effects of plant protection products and arthropod-active proteins that are expressed in GE plants are mortality (e.g., estimated as LD50), fecundity, development duration, body mass (as a measure of growth), or the percentage of individuals that reach a certain life-stage (e.g., percent adult emergence) (Candolfi et al. 2000; Rose 2007; see Stacey et al. 2006 and Duan et al. 2002, 2006, 2008a for sample protocols). Independent from the measurement endpoints that are selected for a specific study, risk assessors should agree on how to interpret and use these data in the risk assessment. This includes the definition of thresholds that trigger additional testing. Similar to the assessment of pesticides (Candolfi et al. 2000) an effect size of 50% mortality has been defined as the threshold to trigger additional tests for early-tier laboratory studies conducted under worst-case exposure conditions with purified arthropod-active protein or GE crop tissue in the USA (USEPA 1998; Rose 2007). Less than 50% mortality under these conditions of extreme exposure suggest that population effects are likely to be negligible given realistic field exposure scenarios. Furthermore, once the threshold is defined it should be ensured that the experiment is sufficiently replicated to detect the defined effect size with acceptable statistical power (see also section below on “Statistical considerations”). Determination of the measurement endpoint(s) should consider knowledge about the impact of the arthropod-active protein on the target organisms and its MOA, knowledge about the biology of the selected NTA species and life-stages, and the availability of reliable test protocols. The measurement endpoint(s) selected will affect the duration of the test (see section below on “Test duration”). For example, the current arthropod-active proteins in GE crops (Bt Cry and VIP proteins) are lethal to sensitive (target) species. Thus, mortality is one obvious measurement endpoint for laboratory NTA studies. In the case of arthropod-active proteins that are known to cause sublethal effects on sensitive arthropods (such as reducing the fecundity or delaying development), these parameters should receive attention and be measured when assessing the impact on NTAs. This is the case for some inhibitors that affect the arthropod’s digestive system and lectins. Several endpoints may need to be measured for arthropod-active proteins for which limited experience regarding their impact on arthropods exists. Besides the described measurement endpoints, any other sublethal effects that are observed during the experiment (e.g., changes in behavior) should be recorded. Subsequently, risk assessors may agree that the observed effects trigger additional testing. However, observations of apparent sub-lethal effects may need to be interpreted with caution and always compared with the negative control(s), since rearing arthropods on a sub-optimal diet medium may itself cause unforeseen side-effects on their subsequent reproductive vigor. In general, laboratory tests are shorter in duration than semi-field or field studies but are conducted at higher protein doses/concentrations. The duration of a specific laboratory test depends largely on the endpoints that are measured, i.e., the duration of the test must be sufficiently long for the measurement endpoint to respond should the test substance have an adverse effect. The duration of an experiment is further determined by the selected surrogate and its life-stages, their rate of development under the specific experimental conditions (incl. experimental set-up, environmental conditions), the suitability of the test system, and the characteristics of the test substance. The duration required to measure a certain endpoint depends on the endpoint chosen. In general experiments that focus on the organism’s developmental stages and measure, for example, mortality or days to adult emergence can vary from 14 to more than 30 days depending on the species, while for example tests measuring the fecundity of A. bilineata last for 11 weeks (Grimm et al. 2000; Stacey et al. 2006; Raybould et al. 2007; Raybould and Vlachos 2010). For comparison, tests that assess mortality as a response to treatment with chemical pesticides can be substantially shorter (e.g., 2 days in the case of adult honeybees, USEPA 1996c). 2. The selected surrogate and its life-stages. The duration of the experiment depends on the test organism’s biology and in particular its rate of development under the specific experimental conditions. For example, developmental time until adulthood is shorter for Orius species (Stacey et al. 2006; Duan et al. 2007) than for Poecilus species (Duan et al. 2006; Stacey et al. 2006). 3. Suitability of the test system. To ensure the reliability of the obtained results, test organisms should not show unacceptably high mortalities in the negative controls. This ensures that potential background effects (including quality of the test organisms and the suitability of the test system and environmental test conditions) were negligible and did not affect the observed treatment effects. Principles of basic toxicity testing dictate that test organisms should be healthy and of high quality and not otherwise stressed by factors other than the stressor in question (i.e., the arthropod-active protein) (Klaasen 2001). Therefore, negative control thresholds (e.g., maximum mortality or minimum fecundity) are generally defined for a specific organism and test protocol above which test results should be discarded (see also below section on “Control substances”). In general, a study should be terminated if control mortality exceeds a pre-defined threshold. That may mean that data are not used, or that the only data used are those prior to the control mortality being exceeded. Whether to use those data will depend on the guideline being followed and when the control mortality criterion was exceeded. For example, if the criterion is exceeded after 21 days, it may be acceptable to draw reliable conclusions from the data for day 20 (e.g., if one is working with a Bt protein that is known to have effects on susceptible insects after 5 days); on the other hand, if the criterion is exceeded after 3 days, the study should be started again. 4. Characteristics of the test substance. Knowledge available on the impact of the test substance on a range of sensitive target organisms should be considered to demonstrate the spectrum of activity. For example, it has been recommended that test durations for Bt Cry proteins should be a minimum of 5 days, but preferably 7–14 days, in light of the time period for the proteins to demonstrate toxicity against some target pests (Rose 2007). One should note that the period during which the test organism is actually exposed to the test substance can be shorter than the observation period (i.e., the duration of the experiment). One example is the honey bee larval test. In the bee test, young larvae are dosed with test substance in their brood cell only once at the start of the experiment, and adult emergence is measured after about 18 days (see references in OECD 2007). Another example is the protocol established to assess fecundity of A. bilineata (Grimm et al. 2000; Stacey et al. 2006) where adult beetles are treated with the test substance and provided with fly pupae to lay their eggs (the larvae develop parasitically within the fly pupae). After removal of the treated beetles, the fly pupae are monitored for a further 6 weeks to record the number of emerging second-generation beetles. The reason for using negative controls is to assess the natural background effects on the measurement endpoints within the test system. The inclusion of negative controls allows an assessment to be made of how the test system and test conditions, including the carrier, are influencing the mortality, development, and/or behavior of the non-target arthropod tested. Thus, negative controls assist in determining whether the observed effects are related or not to the treatment. When choosing the appropriate negative control treatment, it is important to consider the potential effects of the diet (or any other carrier) in which the test substance is delivered. Sometimes several negative control diets may be required. For example, in simple test diets, such as sugar solutions to which high concentrations of a protein test substance have been added, the inherent nutritional value of the test substance can affect the test results. In such cases, it may be appropriate to not only include an untreated control diet treatment but also to amend the negative control diet with an inert or heat-deactivated supplement such as bovine serum albumin to ensure nutritional equivalence (Brødsgaard et al. 2003; Bell et al. 2004). The choice of the appropriate negative control is particularly critical when GE plant material is used to deliver the test substance. For GE plant material, typically material of the unmodified (non-transformed) near-isoline is used as the negative control in order to rule out effects of variability in plant composition on defined measurement endpoints. Genetic variation across plant varieties can cause differences in a range of plant compounds (e.g., Ridley et al. 2002; Zurbrügg et al. 2010), that may affect non-target organisms (e.g., Escher et al. 2000; Wandeler et al. 2002; Jensen et al. 2010; Knecht and Nentwig 2010). These differences are part of the normal variation in a crop. Consequently, it may be necessary to add several negative control reference lines to establish the normal response variation of the test NTA in the crop. This allows the assessor to set any observed effects into context. The mortality observed in the negative control treatment group is a strong indicator of whether or not an appropriate study design has been used. Acceptable control mortalities need to be defined for any specific test as has been done for the standardized protocols for the acute testing of plant protection products (e.g., Candolfi et al. 2000). For example USEPA guidelines (USEPA 1996b) suggest terminating the test when control mortalities rise above 20% (Rose 2007). It has been recognized that higher control mortalities are expected and might be acceptable where assessment of arthropod-active proteins is required across multiple life-stages of the test organism, thus requiring longer test durations (Romeis et al. 2008). In any case, Abbott’s correction (Abbott 1925) should be applied to correct the treatment results for the mortality observed in the negative control group, and both corrected and observed mortality should be reported. Positive control compounds are particularly useful for test protocol development and standardization (e.g., Duan et al. 2007). They may also be required for regulatory early-tier studies since they fulfill specific roles (see below). Consequently, the selection of appropriate positive controls requires careful consideration. In general, positive controls and test substances should have similar properties in terms of their route of toxicity (e.g., oral versus dermal) and behavior-modifying properties (e.g., repellent or anti-feedant properties). 1. Determine whether or not the test substance was actually ingested. For this purpose any orally-active arthropod toxin can be used as a control. These control substances need to be provided to the test organisms in a similar way (i.e., in an artificial diet) as the test substance. Effects observed in the measurement endpoints indicate that the control substance has been ingested and thus provide indirect evidence for the ingestion of the test substance. Examples are stomach poisons such as the growth regulator teflubenzuron (Stacey et al. 2006), potassium arsenate (Duan et al. 2006, 2007), or the proteinase inhibitor E-64 (Duan et al. 2007). Alternatively, ingestion of test substance could also be confirmed by immuno-assays (e.g., ELISA test) of the treated arthropods (Vojtech et al. 2005; Li et al. 2008; Chen et al. 2009; Meissle and Romeis 2009b; Li and Romeis 2010; Álvarez-Alfageme et al. 2010) or their frass (Brandt et al. 2004; Christeller et al. 2005; Mulligan et al. 2010), by incorporation of a dye into the prepared diet and subsequent examination of the diet uptake (Rodrigo-Simón et al. 2006), by labeling the protein of interest with a fluorescent compound such as rhodamine and confirm its uptake by the test organisms (Hogervorst et al. 2006), or by simply determining the weight of the test arthropods prior to and after exposure to the test substance (Romeis et al. 2004; Li et al. 2008). 2. Proof that the test system works (demonstrate that the test system is able to detect treatment effects). Positive control compounds can be selected and their concentrations adjusted to show that the defined effect sizes are detectable within the experimental set-up. For example, snowdrop lectin has been used to determine whether sublethal effects on development time and fecundity can be detected (Lawo and Romeis 2008; Li et al. 2008; Álvarez-Alfageme et al. 2010). Such carefully selected positive controls may thus replace statistical power analyses and effect size calculations since they provide evidence that the effect of interest would have been detectable. 3. Allow comparison to other test results. Positive controls may function as useful references to permit comparison of experiments that have been conducted previously (e.g., to establish the sensitivity of the NTA and to establish validity of the assay), or across multiple laboratories. Consultation with a skilled statistician conversant in environmental toxicology testing before an experiment is conducted should eliminate most common design problems. Appropriate statistical methods and statistical power, i.e., the probability of finding a difference that does exist, must be employed to reach meaningful conclusions. Ideally, sample size calculations should be completed prior to the start of the experiment. This should be done to ensure that the assay is sufficiently replicated to detect a pre-defined effect size (e.g., 50% used by US EPA, Rose 2007) with appropriate statistical power (e.g., Duan et al. 2006, 2008a). A level of 80% power at an alpha level of 0.05 is usually considered acceptable (Rose 2007; Perry et al. 2009). Alternatively, retrospective power analyses may be conducted on non-significant results after a study has been completed (Steidl et al. 1997; Thomas 1997; Hoffmeister et al. 2006). For example, using the recorded mean and standard deviation of the negative control treatment and the true sample sizes tested in a particular study, one can calculate (a) the difference between the treatment and negative control that would have been detectable (given that α = 0.05 and a power of 80%), or (b) the power achieved for a defined detectable difference (e.g., a 20% effect) (e.g., Marvier 2002; Lundgren and Wiedenmann 2002; Li et al. 2008; Meissle and Romeis 2009b). The following statistical approaches are commonly used in laboratory non-target testing. For MHD tests, analysis of variance (ANOVA) and proportion tests (z test) are suitable (Candolfi et al. 2000; Rose 2007). If a threshold of activity is used as the criterion to trigger higher-tier tests (e.g., ≥50% mortality), then proportion tests can be used to directly evaluate if the experimental result observed when the NTA is exposed to a limit dose is significantly lower than this threshold. Since the null hypothesis, in this case, is that the experimental result is greater than this threshold (assuming control mortality criteria are met), rejection of the null hypothesis at a given alpha level, typically 0.05, provides 95% power in the conclusion that a result is less than the threshold (Rose 2007). One-sided tests may be appropriate for such considerations. For proportion testing, use of an alternative null hypothesis may also be acceptable. For cases where a threshold is not established, e.g., growth or reproduction endpoints or studies using plant material, use of ANOVA to compare treatment and the relevant comparator (control) may be most appropriate (Chapman et al. 1996). For dose-response studies, probit analysis, generalized probit analysis, logistic regression, and moving average-angle methods are suitable (Grimm et al. 2001). The robustness of the results should be documented by providing the 95% confidence or fiducial limits and the statistical significance of the fit of the data to the regression model. See also for additional statistical advice and for guidance concerning the choice of testing procedures: guidance documents published by EPPO (EPPO 2007), the Society of Environmental Toxicology and Chemistry (SETAC) (Chapman et al. 1996), and the US Environmental Protection Agency (USEPA) (Rose 2007). A sound environmental risk assessment is essential to evaluate the likelihood and seriousness of harm to NTAs that may result from cultivation of a GE arthropod-resistant crop. In such assessments, it is necessary to test for the potential of the arthropod-active protein to have adverse effects on NTAs. Effective assessment of adverse effects follows a tiered approach that starts with laboratory studies under worst-case exposure conditions; such studies have a high ability to detect adverse effects on non-target species. As not all NTAs can be tested, early-tier laboratory studies should accurately determine the effects on surrogate non-target arthropods (selected depending on the scope of the risk assessment) of known concentrations of the test substance. In most cases, the test substance will be a purified protein produced in microbial expression systems, or, alternatively, GE plant tissue. Good study design seeks to minimize the probability of erroneous results: false negatives—the failure to detect adverse effects of substances that are potentially harmful in the field, and false positives—the detection of adverse effects when the substance is unlikely to be harmful in the field. Thus, reliable test systems should adhere to relevant test protocol design criteria to avoid erroneous results (Box 1). Such erroneous results may arise if the conduct of the test introduces bias, or exposes the test NTAs to conditions that are significantly different from those under which the test is known to be reliable. Because some regulatory jurisdictions require that early-tier NTA studies be conducted under GLP, scientists conducting NTA studies as part of regulatory submissions should first determine if a GLP requirement exists. Confidence in a conclusion of no adverse effect on a species (i.e., the avoidance of false negatives), and confidence in extrapolating that conclusion to other species, depends upon the ability of the study to detect such effects. Adhering to the principles and recommendations outlined in this paper should increase confidence in the results of early-tier laboratory studies, and thereby reduce data requirements for stressors that pose low risk. If adverse effects are detected in such studies, the results should be easier to interpret and higher-tier studies for GE crops producing those substances can be designed. The recommendations and associated guidance elaborated in this document thus provide a sound scientific foundation for experimenters conducting early-tier NTA tests. These will also facilitate the reproduction of a study, peer review of such tests by others in the scientific community, and will benefit regulatory authorities by enhancing the quality of information generated for use in risk assessments. As current and near future commercial products target arthropod pests, this paper focuses more narrowly on direct effects on this group of animals as a sub-group of non-target organisms (NTOs). A further restriction is that non-target arthropods (NTAs) are generally considered beneficial as opposed to non-target pests. The concepts discussed here will apply to other non-target invertebrates, e.g., earthworms and nematodes. Although insecticidal traits associated with commercialized GM crops have all been based on proteins, we recognize that future traits will not be restricted to this class of molecule. For simplicity we restrict ourselves to arthropod-active proteins. However, most of the considerations that are described will be equally applicable for compounds belonging to other classes of molecules. A second risk hypothesis relevant to NTA risk assessment is that the transgenic crop does not contain any harmful unintended changes that may result from the transformation process. This hypothesis is not addressed in the present paper since it is generally tested using a range of data that establish the equivalence and familiarity of the GM plant with its non-transformed comparators (Romeis et al. 2008; Raybould et al. 2010). Good Laboratory Practice (GLP) embodies a set of principles that provides a framework within which laboratory studies are planned, performed, monitored, recorded, reported and archived. GLP helps assure regulatory authorities that the data submitted are a true reflection of the results obtained during the study and can therefore be relied upon when making risk/safety assessments. OECD (2005) defines “test system” as “any biological, chemical or physical system or a combination thereof used in a study.” US EPA 40CFR160 (USEPA 2009) defines “test system” as “any animal, plant, microorganism, chemical or physical matrix, including but not limited to soil or water, or subparts thereof, to which the test, control, or reference substance is administered or added for study”. Test system also includes appropriate groups or components of the system not treated with the test, control, or reference substance. The authors would like to acknowledge helpful comments provided by the following reviewers: Michael Dornbusch (Office of the Gene Technology Regulator, Australia) and Mike Mead-Briggs (Mambo-Tox Ltd, UK). The active protein in a GE plant that causes the intended effects on the target organisms (i.e., the arthropod pests). An explicit expression of the environmental value that is to be protected. Operationally, it is defined by an identified environmental entity of value (e.g., beneficial arthropods) that is susceptible to harm and an attribute that provides evidence of harm (e.g., arthropod abundance). A common soil bacterium, notable for its ability to produce proteins which are toxic to certain insect groups (see Cry proteins). Matrix used to expose test organisms to a test substance. Carriers can be water, artificial diets, or arthropods containing the test substance. (see Diet). Quantity of a test substance contained in a diet or other matrix (e.g., plant material), for example expressed as ng/mg, mg/kg, ng/ml, mg/L, etc. A class of crystalline proteins produced by Bacillus thuringiensis bacteria that are toxic to specific insect taxa. In the context of laboratory-based toxicity testing of non-target organisms, material into which test substance is incorporated to enable oral exposure of test organisms. Total amount of a test substance administered to, taken, or absorbed by an organism. Effective concentration; concentration of a test substance in a diet or any other matrix that has a defined effect (for example, growth inhibition) on fifty percent of the population of a test organism. Effective dose; amount of a test substance that has a defined effect on fifty percent of the population of a test organism. The process of identifying significant risks to the environment, estimating the level of risk, and determining those risks that require measures to reduce the level of risk (USEPA 1998; Wolt et al. 2010). Calculated concentrations of a substance in various environmental compartments based on calculations using maximum-exposure scenarios (IUPAC 2010). The concentration or dose of an active protein (or any other stressor) encountered by an organism in the environment. Lethal concentration; concentration of a test substance in a diet or any other matrix that causes the death of fifty percent of the population of a test organism. Lethal dose; amount of a test substance which causes the death of fifty percent of the population of a test organism. The lowest concentration of a test substance found by experiment or observation that causes an adverse effect on an organism. The dose chosen to represent an extreme exposure scenario, calculated using the EEC and incorporating an additional margin of exposure. A quantifiable response to the changed characteristic of the plant (i.e., the stressor) that is related to the assessment endpoint. Examples include: mortality, growth (weight), development. Specific biochemical interaction or mechanism through which a compound produces its toxic effect. Test organisms put through an experimental protocol that are not exposed to the test substance, but may be exposed to the carrier (e.g., an artificial diet) in which the test substance is contained. This is a test of the protocol that helps minimize false positives. The highest concentration or dose used in a test at which no adverse effects were observed. An arthropod species that is not intended to be affected by the trait under consideration. Agronomically, a non-target organism is any organism associated with the crop that does not cause economical damage. Note that some scientists differentiate non-target pests (plant pests not targeted for control by the trait) from non-target organisms or arthropods, which are generally considered beneficial. Test organisms put through an experimental protocol that are exposed to a substance known to have an effect (usually toxicity). This is used to show that the test organisms are exposed to the test substance during the test and to minimize false negatives. The first phase of environmental risk assessment which includes a preliminary description of exposure and environmental effects, scientific data and data needs, key factors to be considered, and the scope and objectives of the assessment. This phase produces the risk hypotheses, conceptual model and analysis plan, around which the rest of the assessment develops (Raybould 2006; Wolt et al. 2010). The objectives of environmental policies, typically defined in law or regulations. A property of a study so that other scientists or regulators can completely reassess the experiment at a later date. This is achieved by recording and achieving the protocols, data and execution of a study. Study reconstructability is a requirement under GLP. The scientific determination of the probability of specified harmful effects under a given set of conditions, using both effect characterization and exposure data. A tentative explanation of how the proposed actions, such as the cultivation of GE crops, may cause harm. The use of a known sensitive organism to provide evidence that the test substance under consideration has retained its biological activity. Any physical, chemical, or biological entity (e.g., an arthropod-active protein) that can induce an adverse response in a receptor (e.g., a NTA). A species selected for laboratory testing because it represents a taxonomic or functional group of organisms that should be addressed in the risk assessment. A species that is intended to be adversely affected by the trait under consideration. A purified arthropod-active protein or a GE plant tissue (e.g., pollen) that contains that protein. In general, test substance is referred to as the material that the test organism is exposed to. Risk hypotheses are systematically addressed within a framework of tests that proceeds from conservative laboratory-based tests to more complex and more realistic semi-field and field studies, if required. The assessment is iterative and can stop as soon as sufficient information is compiled to corroborate the risk hypothesis with sufficient confidence. Movement through the framework is triggered by results obtained at earlier tiers. A characteristic of an organism that manifests itself in the phenotype (e.g., insect-resistance). Traits may be the result of a single gene or may be polygenic, resulting from the simultaneous expression of more than one gene. An organism’s place within a food chain, defined by the organisms it feeds upon. Tritrophic studies, for example, refer to interactions among three different trophic levels, e.g., plant, herbivore and natural enemy (parasitoid or predator).